On September 23rd to 25th, SMCo Thrift will host its next event focused on equipping leaders in the thrift industry to Do Thrift Better. Principles, strategies and tools proved successful in the 50+ locations where the SMCo Thrift team has assisted will be shared. Join us in Knoxville for this unique gathering of thrift operators from across the United States. Expect to hear about and then see the interconnected elements within a thrift operation – such as receiving donations, sorting & pricing individual items to retail sales. The first two days are spent in a “lecture” environment at the Knoxville Convention Center, whereas the third day is spent in a “lab” environment, learning in stores. Directors, managers and other leaders will walk away with practical steps to implement at existing thrift operations to grow your social enterprise. See the tentative schedule to learn more. Best event to discuss the actual “how to’s” of leading a thrift operation. It showed me the potential our social enterprise has to help provide for our ministry. Every conference is unique because of the people who attend. We recognize the value of different viewpoints so come prepared to share your challenges as well as your successes. Recent attendees have traveled from west and east coasts as well as places in between. They represented organizations with no locations to more than a dozen, with existing stores generating less than $25K per month to over $125K per month. Having more of my team there would have been better. I really felt this conference was valuable. It was small enough to have great interaction and have information clarified. Your participation makes it better for everyone involved. We’ve set aside specific times for you to interact with others so we can all Do Thrift Better together. I enjoyed how open and available the speakers and organizers were to questions. The registration for each attendee is $295 through July 26th. Thereafter, the registration is $395. Each attendee has full access to the conference sessions as well as the workshops. IMPORTANT: If you are registering yourself, be sure to include your information along with anyone else you are registering in the Attendees list. Registration is non-refundable but transferable to another member of your organization. For additional information, please contact the SMCo Thrift team to have your questions addressed personally. * We’re hosting an exclusive luncheon for nonprofit executive directors and vice presidents on Wednesday. In this intimate setting, the SMCo Thrift team will discuss how the ongoing profit stream of a social enterprise complements existing development efforts and allows nonprofit initiatives to become a reality. The cost is included for nonprofit leadership attending the conference or only $99 for those joining for Wednesday only. The Fall 2019 SMCo Thrift National Training Conference will be held at the Knoxville Convention Center. Situated adjacent to the World’s Fair Park in downtown Knoxville, this beautiful venue boasts great meeting spaces and delicious refreshments. Within walking distance of dozens of hotels, restaurants, and entertainment venues, this space will help make this event one to remember. Two boutique hotels are also within easy walking distance. 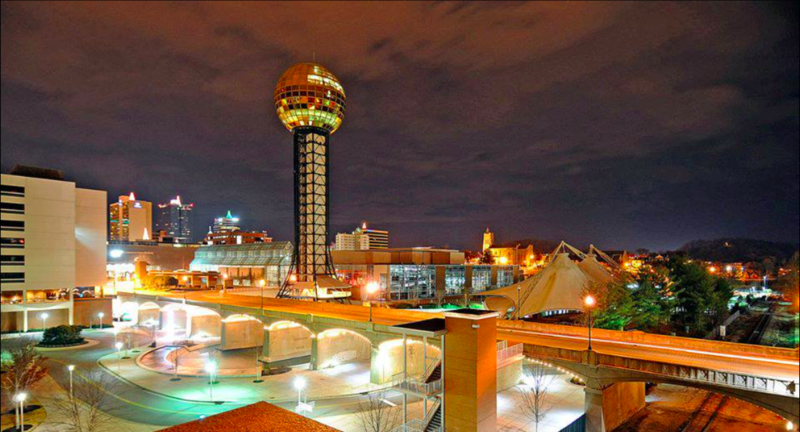 Dozens of amazing restaurants are within walking distance of The Knoxville Convention Center and area hotels. Make plans to enjoy your own “taste of Knoxville” during your visit. Getting to Knoxville doesn’t need to be difficult. Located at the intersection of I-40 and I-75, a road trip is easy for many. McGhee-Tyson airport (TYS) is a great mid-sized airport served by all the major airlines (with short security lines). And plan to enjoy all the benefits of Knoxville by extending your stay through the weekend. If you need help planning your trip, let us know and we’ll contact you. Select one or more topics you'd like to discuss over lunch on Tuesday. The Early Bird rate of $295 is available through August 2nd. Thereafter, the regular rate of the event is $395 per attendee.